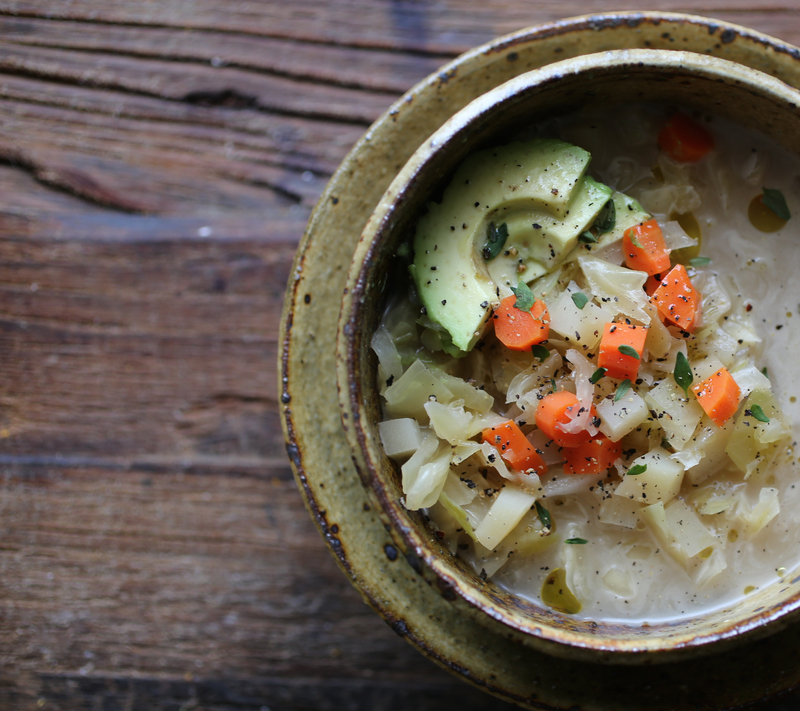 Last month, when I posted my Rustic Parsnip Soup, I mentioned a cabbage soup that I also made and would be sharing with you soon. Here it is, but first, I wanted to let you know how pleased I was last week to find out that my parsnip soup had made it to Buzzfeed’s list of Cozy & Delicious Soups to Make this Winter. Creamy, earthy, indian-spiced and topped with a delicious walnut and pear combo that give it a bit of sophistication and crunch, it is just the type of soup that will make you want to stay in, cook and remain warm and cozy on any winter’s day. 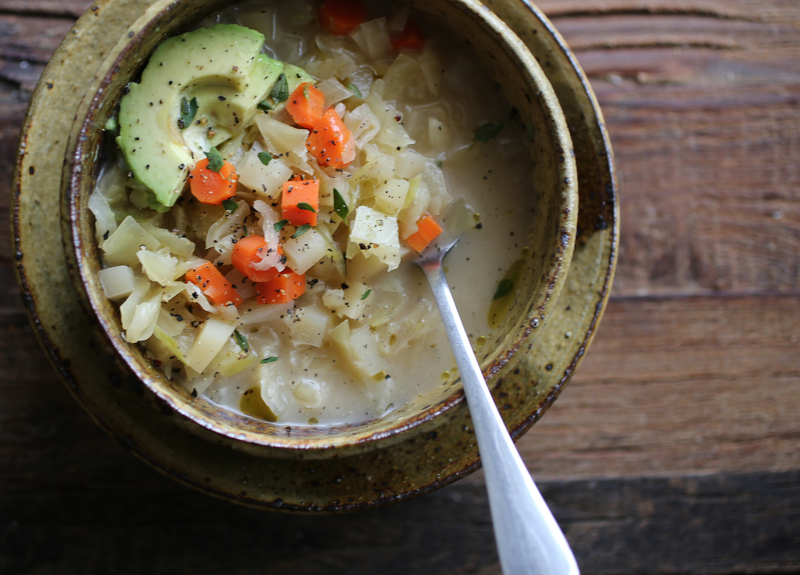 This cabbage chowder, is another cozy and delicious soup for winter. It’s vegan and so simple (few ingredients and spices) and easy to make. I first tried a version of it at a friend’s house last year. Since then I’ve adapted it to make it my own and have served it several times for both family and friends. To entertain my culinary curiosity, every time I try slight variations. I’ve tried topping it with avocados, other times I’ve added white beans or a grain like farro or brown rice. You can also keep it simple and just serve it with rustic bread. Feel free to experiment and make it your own. In a large soup pot, heat oil and sauté onions until translucent. Add garlic and stir until fragrant. Add cabbage, potatoes and carrots and toss. Add thyme sprigs and enough broth (or water) to cover all vegetables. Bring to a boil, reduce heat and simmer until vegetables are tender, about an hour. and 15 minutes. Season with salt and pepper. Remove from heat, add milk, taste and adjust seasoning once more. Ladle in bowls, serve with avocados, bread or a grain like farro, barley or brown rice. Thanks so much!!! I’m crazy for soups now too!! 🙂 Please let me know how you like it. 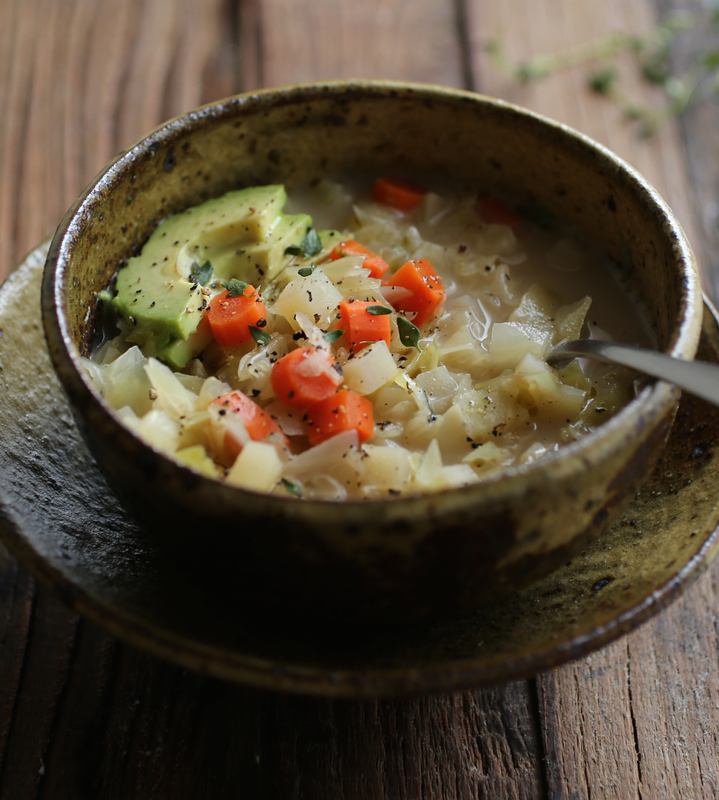 My family loves this soup!